Yummy AND guilt free! Plus a delicious that we can enjoy with our little one! 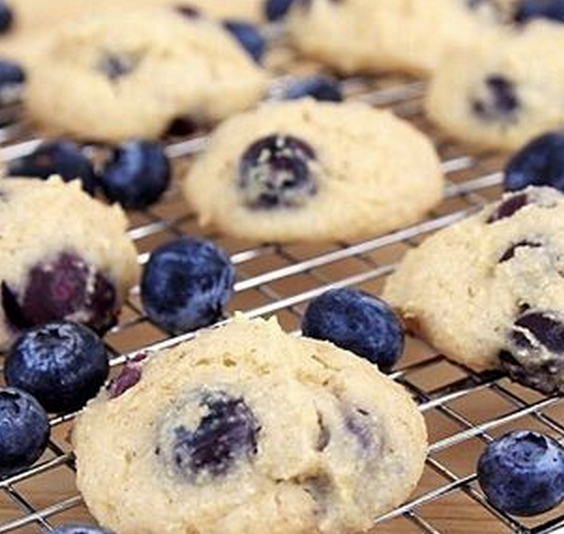 These BLUEBERRY YOGURT COOKIES will satisfy that sweet craving, and at only 13 calories a pop, there's no need to stop! Combine wet and dry ingredients separately. Mix dry ingredients into wet ingredients. Stir in blueberries. Drop tablespoons of batter onto a baking sheet lined with foil and sprayed. 13 Super Cute and Healthy Halloween Snacks! Sweet, Salty or Spicy Pumpkin Fries!